AETHERN at Beyond Beauty Paris fair in ville lumière from 15 to 17 September, 2015. The worldwide showcase for beauty brands. For 3 days in one prime location, Beyond Beauty Paris is offering the most comprehensive and innovative selection of finished products targeted to all distribution networks. With nearly 18,248 professional visitors, from brands to suppliers, they came to discover new beauty concepts in a wide range of sectors – skincare, hair care, makeup, personal hygiene and body care, spa and professional products, accessories and fragrance. The trade show reward the most innovative products of the cosmetics & fragrance industries, organizing the Beauty Challenge Awards (BCA) competition dedicated to emerging brands having less than five years of existence. 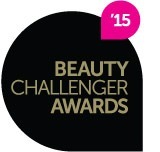 AETHERN will take part of this Awards, participating in the skincare category. Operating in several categories, each award offers to a Jury of experts something very unique to discover and evaluate in all beauty aspects. The jury – represented by global distribution leaders as well as the trade and consumer press and the blogosphere – has evaluated participants according to specific criteria of innovation and originality, focusing on differentiation, consistency of the concept and the quality / price ratio. This competition is appreciated and recognized as a proof of innovation and quality by major buyers.